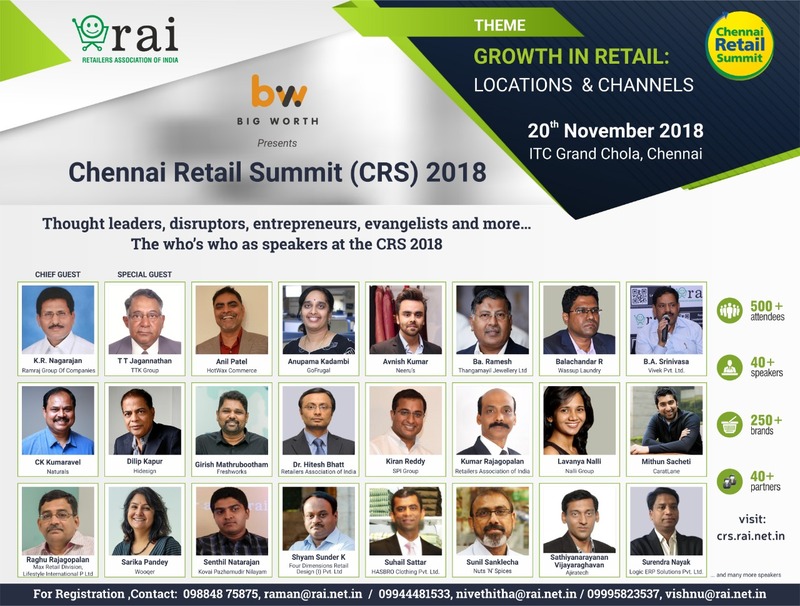 CRS brings together decision makers from across Indian retail industry, offering an opportunity to meet with experts and solution providers who can help them achieve their goals. As Chennai Retail Summit 2018 delegate, you will get to network and interact with the top retail experts and leaders to take away knowledge and enhance your understanding of the retail industry. Chennai Retail Summit will aim at providing a platform for retail leaders and executives to engage in lucid and focused dialogue with their industry friends and other service providers and examine their management objectives in a vibrant environment.